The Koro Kaji rugby teams are making a return to the national competition after a three-year lapse. 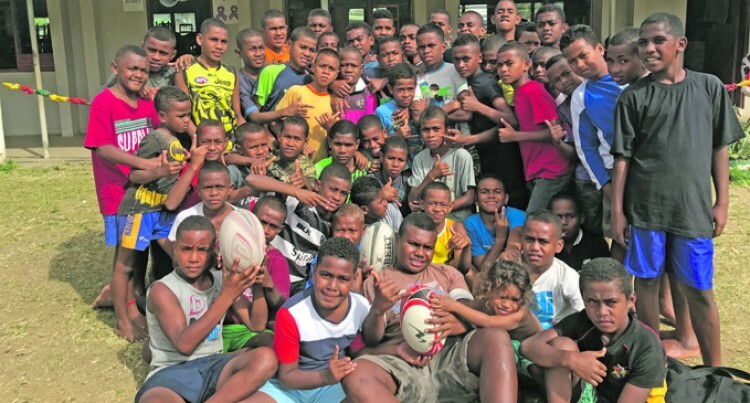 Coming with over 50 students, the Koro teams are made-up of players attending seven prima­ry schools on the island. They will be competing in the Under-12, U13 and U14 grades. Koro coach Isireli Koroituku said it has been a while but they are focused on the task ahead. He acknowledged their spon­sors Vodafone Fiji and the sup­port from the teachers in trying to ensure that the teams return to the kaji competition. “We are coming here not to win but to just develop our young players and we are look­ing forward to the quarterfinals on Monday,” he added. Koroituku said for the U14 grade, Gau and Koro would com­bine to form a Lomaiviti team in the quarterfinals while Koro U12 and U13 will face Naitasiri. The Vodafone Kaji rugby com­petition gets underway tomor­row at the ANZ Stadium in Suva. The competition finishes on Wednesday.